If you’re a fan on Foodo’s Facebook page, you’ll know just how excited I’ve been about this month! Without further fanfare, let’s get this Burger PARTY started with a BANG and an AMAZING burger. Not too difficult and delivers like it came from the heavens of burger Nirvana itself! To quote John in his Rico Suave voice: “Que bueno, Que Rico!” it translates to: “Rich & Smooth!”. This piece of awesomeness came from a recent visit to New Mexico. We didn’t have anything like it, I was just inspired by the local foods. We have ourselves an original here! Alert the press please 😉 We’re also extremely fortunate that our beloved A&G grocery store carries freshly made chorizo, a true treat to behold! Okay, no more meandering off on tangents, let’s get down to business. This burger is very straight forward especially if you don’t make the sauce, which I won’t be including next time. It was nice, but definitely NOT necessary. Assemble as demonstrated in photo. We felt the sauce was good, but not entirely necessary because these burgers were so juicy and packed with flavor. Those pictures looks yummy! My family is going to enjoy this recipe. Thanks for sharing. That’s one HUGE burger! It looks spectacular!! An original and beautiful burger! Just beautiful:) Makes me, almost, wish I ate meat. I will try the rest with maybe a nice large portabella:) Well I guess the guys will want the meat so will have to make it both ways. And I love the sauce! 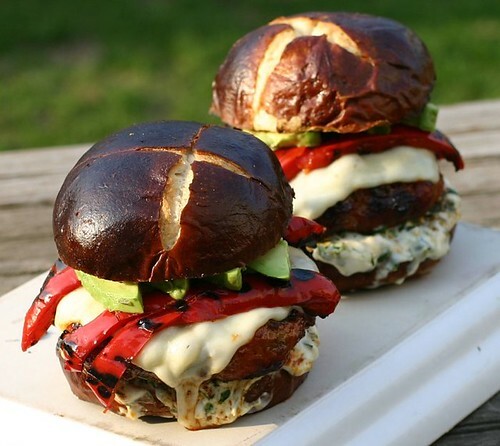 GREAT burger – that bun looks awesome too…. I’ll be trying this one soon. Looks unique and extremely tasty. This jumped off the foodgawker page at me. Yummy! Yummmmmmm that looks SO good! I love the how melty the cheese is. That is what I call a really great summer hamburger. Looks super delicous.Mm. I looooooooooooooove chorizo. Yet, I’ve never come up with an idea of using it for burger! Wow. That is one great looking burger. I’m going to grill some up for the meatatarians in my family tonight! I agree…Ay que bueno, ay que rico! Hello! 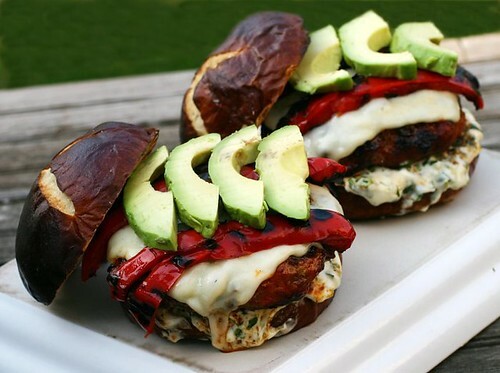 Very interesting idea for burgers, look absolutely delicious. All ingredients are tasty, this chorizo choice so yummy; thank you for sharing this recipe and have a nice day! Oh my my my! This looks… just, so good I don’t have the words! PS, I added you to my blog roll – everything is so damn tempting here! Wow! I would do everything in my power to try to wrap my mouth around this beauty. (insert drooling sound) Gorgeous pic! Looks SO good! Thanks for sharing. Those burgers look so good and they sound really tasty! I’m actually drooling… I can’t stop looking at those pictures… and it’s breakfast! Well, I am going to HAVE to try this recipe. I’m sold! Fabulous pictures! Wow, great job here. Awesome picture too! 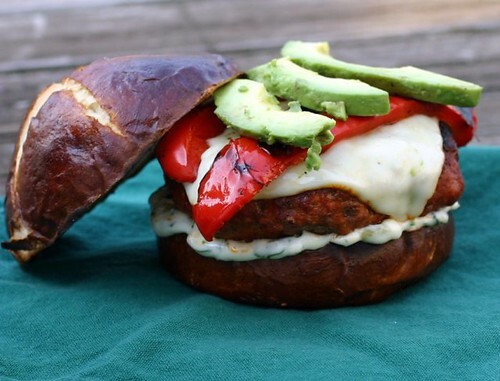 You should really consider submitting this to Recipe4Living’s Juiciest Burger Contest! It looks delicious! This was a great burger! I replaced monetary jack with some chipotle cheese I had handy and gave a nice smokey flavor. Love your website!